Firstly, let me explain what a Buff is. It is basically a tube of elasticated material, then what you do with it when you have it is kind of up to you. Clear as mud? Well hopefully this blog will explain a little more. 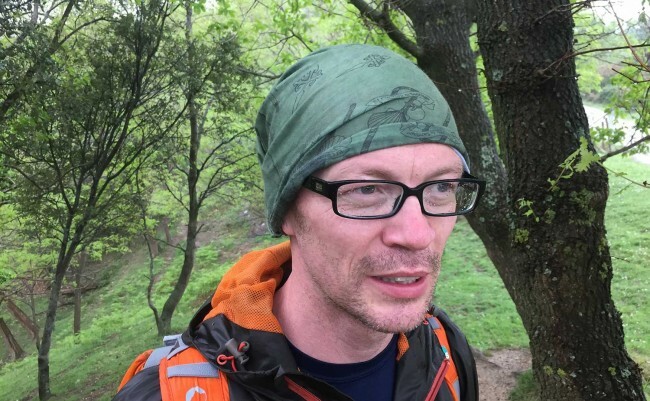 We went walking on the Camino del Norte and the Buff was folded up into a tiny space and hidden in the depths of our rucksacks. It folds down to around the size of a mobile phone, but is obviously more flexible than that, so can easily fit unnoticed in a pocket. 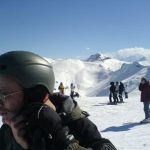 I had used Buffs before, on the snow, to keep the cold off my face as you put the Buff around your neck and pull the elasticated sleeve over your face. However, with this in mind, I didn’t see that we would find the Buff’s too useful on the trip. How wrong could I be! 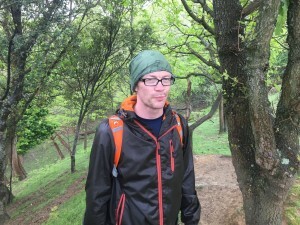 Walking in the north of Spain in April, the weather can be a little, eh, unpredictable. Our first day walking from San Sebastian to Getaria, we were walking off an inhuman amount of food from the night before, while the intensity of the sun was making the walking much more tiring than it should have been. 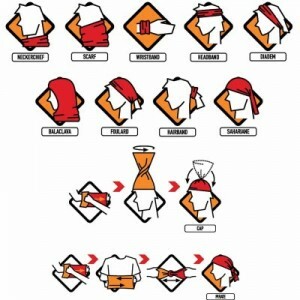 The many ways to wear your buff. Forgetting to pack a hat was one of my errors and as the sun started to bake my brain and my neck started to feel the keen sting of redness, I remembered the Buffs. Popping them over our heads in the Sahariane style that you can see in the picture above, was perfect and I am pretty sure saved the day for us, cooling the head and ensuring that a bright red nose was the only infliction of damage that the sun caused. Wristband to wipe the brow. Another day, another style. The next day started off warm, but not sunny, so around my wrist the Buff went, helping me wipe away the sweat from walking a pretty tough trail. At a crossroads we decided to opt for the slightly more challenging coastal route, which started off pleasantly enough, but almost without warning we were engulfed in a dizzying surge of hail, which turned to intensely heavy rain. With high winds blowing hoods off at every turn, the Buff came to the rescue once more. Back on the head it went, pirate style, to keep the rain off our heads and it made the extreme discomfort, much less uncomfortable. Also, there were dry bits of it, the bits that were tucked in, so it was the only thing I could use to clean the rain off my glasses! Soaked to the skin, but happy to have a protected head. 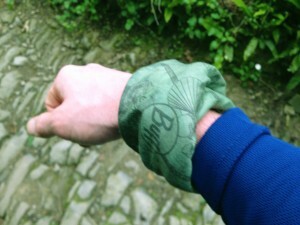 Though not officially recommended by Buff, we found another use for it later as my companions knee started to give out after slipping down slick, rain soaked headlands for an hour. The Buff was doubled up around his leg and pulled up to give extra support to the damaged knee. While not quite an elastic bandage, it, plus a handy stick, were essential in getting us to the end of our days walk in one piece. So, for the size of them and the low price, I would heartily recommend a Buff for any kind of day out. It might hide, unobtrusively in your pack all day, but it might just be the key ingredient to make a good day great. You can purchase a wide range of styles of Buff by visiting Kitshack.com, the official home of Buff in the UK.